Laura Myers, Partnership and Recruitment Officer – ICT & Digital Inclusion at Lancashire Adult Learning, talks Digital Skills Training in partnership with Facebook and Freeformers on behalf of the Lancashire Digital Skills Partnership. Facebook and Freeformers are working with various in-country partners and NGOs in six countries across Europe (Italy, Germany, France, Spain, Poland and the UK) to bring the Digital Skills Training Programme to 75,000 people. Lancashire Adult Learning are a UK partner delivering training to 300 learners across Lancashire in 2018-19 - an opportunity that would not have been possible without the Lancashire Digital Skills Partnership. 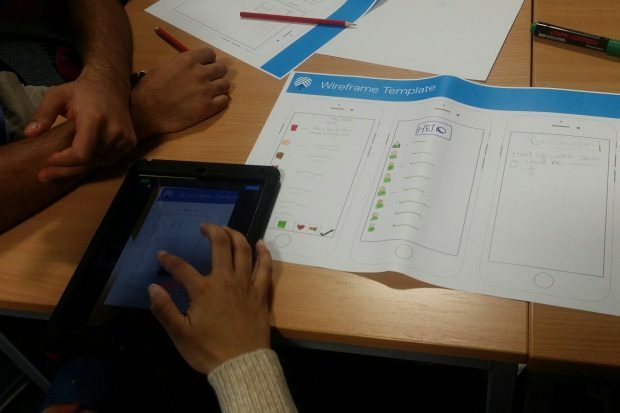 The training focuses on enabling people to develop the confidence and skills they need to be employable in a digital economy - these are skills that employers across Europe have identified as lacking in the current workforce. According to the European Commission, 40% of companies across Europe are now experiencing skills shortages. The training is designed for those who need or want to develop their digital skills for personal or professional reasons and to ensure that they are able to thrive in a digital future. It includes those who are self-employed, thinking of setting up their own business, interested in a marketing, IT or business career, or anyone who wants to improve their digital understanding. Web Presence: Make the web work for you! Cyber Security: Tips to make you safer online! AI: Artificial Intelligence and automation and how to make it work for you. 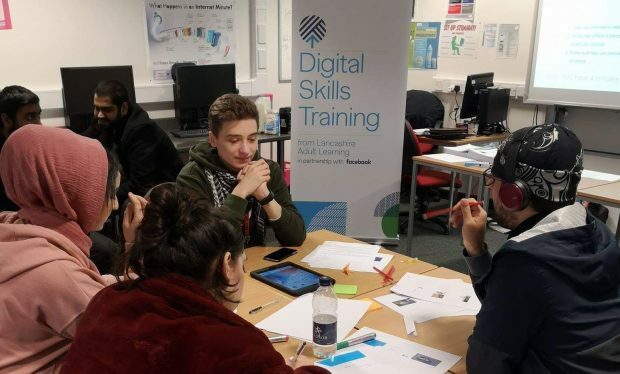 Over a 12-month period, with support from Freeformers, Lancashire Adult Learning is delivering the Digital Skills Training with partners in venues across Lancashire. With 3 tutors receiving their certification from the ‘Train the Trainer’ programme and more staff in the pipeline to deliver, Lancashire Adult Learning is aiming to reach 300 learners across the year. Current delivery includes Lancashire County Council staff, young people engaging on the Turf Works programme at Burnley Football in the Community and Nelson and Colne College Business Students as well as various open sessions for members of the public to access…with lots more to come! 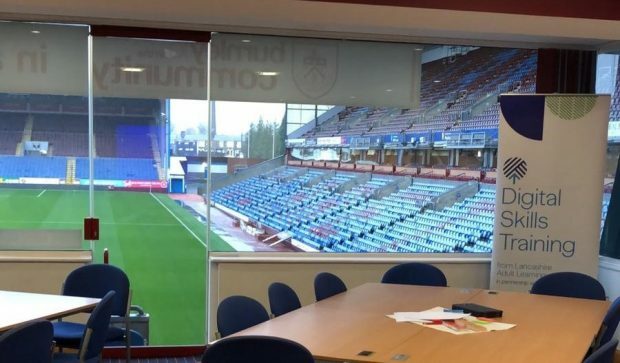 Training is ready to start at Turf Moor working with participants on the Burnley FC in the Community Turf Works Employability Programme. The support from Freeformers has been invaluable; online support (via Facebook Workplace) has meant that all resources are easily accessible and Lancashire Adult Learning is able to collaborate with other partners across the UK, staff are always on hand to answer any questions, and the course content is unique and engaging. Tutors were really enthused after completing the ‘Train the Trainer’ and able to immediately recognise how similar themes can be built into existing course delivery at Lancashire Adult Learning and in the future. The Digital Skills Training has enabled our learners to think innovatively about creating and promoting a new business idea or building upon a hobby to turn it into a lucrative business. It has helped us to help our learners to recognise the free apps and digital enablers that they can use to promote their businesses. It has allowed them to see another side of social media and understand how to use it to its maximum potential. Learners at an open session hosted at Nelson and Colne College in February. "I’ve just attended the Digital Skills Training and would highly recommend it to anyone who is self employed!" "Really engaging, fun and informative. Great for those who are who are self–employed or thinking about setting up on their own, and will be using social media as a way to promote their business and build awareness." "It was really good and enjoyable with an enthusiastic teacher." "Great day absolutely loved it. Great experience!!" The Digital Skills Partnership brings together public, private and charity sector organisations to boost skills for a world-leading, inclusive digital economy. We use this blog to provide updates on the Partnership's work and highlight ways in which organisations from all sectors can support it.